i've downloaded a couple sky textures, i do read also how to do it but this old engine make me so mad. i have imported the sky texture and just with the skybox viewer build the sky. but actually i wanna use the F_sky1 option. i change the name in the mapinfo, but only with one sky picture i dont have the whole sky. you see it in the picture. i think i simply to import 4 textures upper,back, and 2 sides. ofcource with a resolution, that makes beatiful and makes the sky really big. i search alot, also the zdoom wiki but it can take you only so far. i need to see a tutorial how to do it because there is none, about importing a sky, using as F_sky1. i don't want to force it into the doom palette, no flat, no sprite. just the real PNG/JPG colours. and F_sky1 is a flat right? OR to solve this i must find a sky texture that is alligned so you then you don't see the line anymore. i downloaded a sky with a size of 8725 x 3162, very beautiful. you can still see the line but its bigger so who cares. 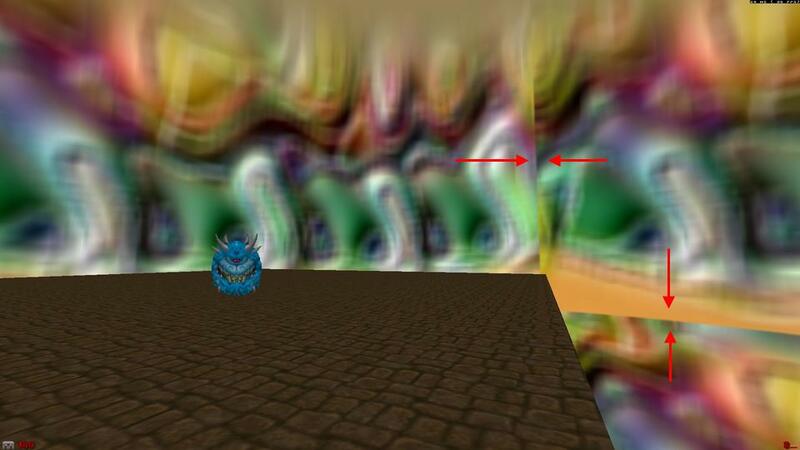 If those textures are meant to form a [wiki]skybox[/wiki], originally, then treat them as such. If the map is intended to be GZDoom specific, I would use the GLDEFS method (mentioned on the page that Blue Shadow linked to - look for the OpenGL Skyboxes link). If you just make a cube-shaped area and apply the textures to it, you can sometimes get visible artefacts on the edges/corners. With a properly defined GLDEFS skybox (and correctly made graphics, of course) this shouldn't be a problem. i just want to find out the easiest way. If the sky was made to be a full surround skybox, then it should have 6 faces that come together in the way explained on the page that Blue Shadow linked to. Normally, I would expect to find these as ready-made separate graphics but they aren't always. If, however, the picture that you are using is just a picture of the sky with no special arrangement, then it won't work as a skybox. Obviously it doesn't currently tile properly. That's either because it's a OpenGL skybox that isn't being use properly or its just a sky picture that hasn't been edited to tile seamlessly. From what I can see in your screenshots, it could be part of a graphic intended to be a full OpenGL skybox, but I can't be certain. doomexpert wrote: ..... and F_sky1 is a flat right? No, F_SKY1 is just a placeholder for whatever sky image you want to use. In Doom2 it is a patch called RSKY1, which is 256w x 128h. while it repeats to the bottom and feathers out towards the top. png image, 256 x 128 in size, and make sure that it is tiled seamlessly. or Paint Shop Pro 7 or newer or similar. if it does not tile seamlessly, then the horizontal break is very noticable. 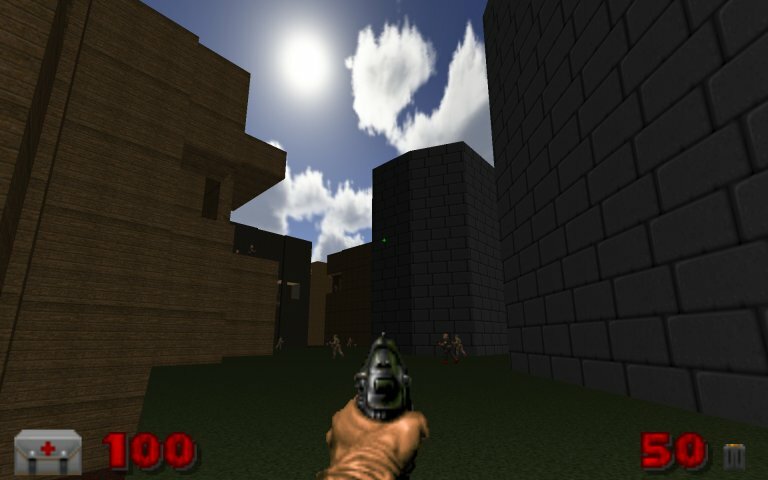 However, a 6-image-skybox using GLDEFS is preferred in GZDoom. RSKY1 is the patch used by SKY1 in Doom II's texture definition. 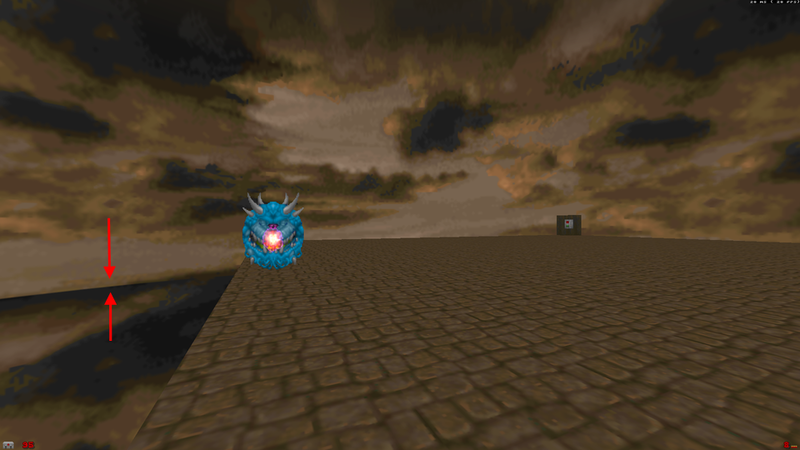 SKY1 is the texture used for the sky in the first eleven levels of Doom II. These make three different ways to change the sky: you can change the sky used by the level (with MAPINFO), or you can change the sky texture's definition, or you can replace the patch. Note that F_SKY1 remains the sky flat throughout. 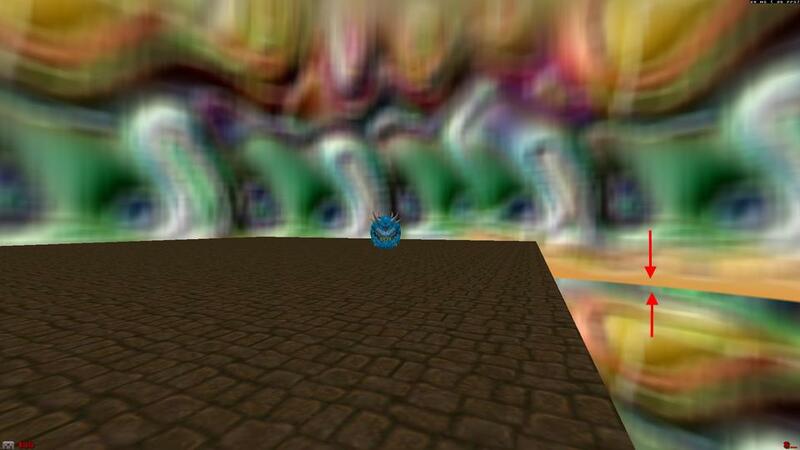 Even though it's called F_SKY1 (rather than just F_SKY) and there are SKY2 and SKY3 (and in Ultimate Doom, even SKY4) textures, there's no such thing as F_SKY2, F_SKY3, or F_SKY4. You put an F_SKY1 flat in MAP30, it'll be SKY3 that's displayed. Finally, you can use skyboxes and sky pickers, sky transfers, second sky (sector type 200), etc. The [wiki]sky[/wiki] isn't the limit! That size is not essential and taller skies can sometimes get a better result. Also, the width needn't be 256. 1024 is actually a really useful width because it wraps around once. A 256 wide image will be shown 4 times around the sky. A 512 wide image is shown twice but a 1024 wide image wraps around on itself and never repeats. This allows things like unique features (such as a sun or moon) to appear only once in the sky. However, for a full wrap around: top, bottom and all 4 sides sky that looks good in OpenGL, I'd still go for the proper OpenGL-style skyboxes. then go look at the sky in the map. Provided the editor you use supports PK3s, then there is no reason not to use them really. However, if you want to stick with WADs, the above example should also work in WAD format.